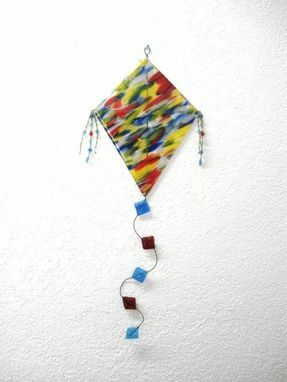 This playful kite ornament is great for kid's rooms and any space you'd like to insert a bit of color into. 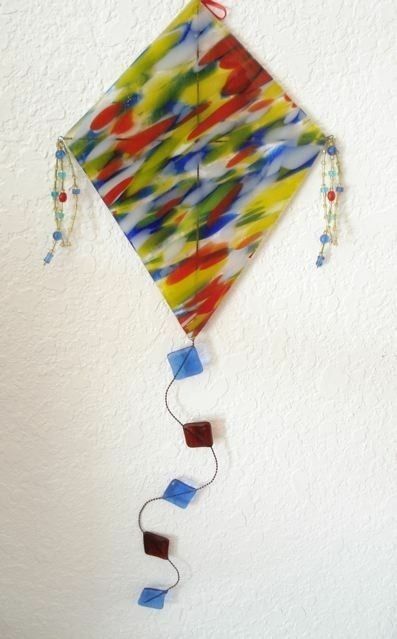 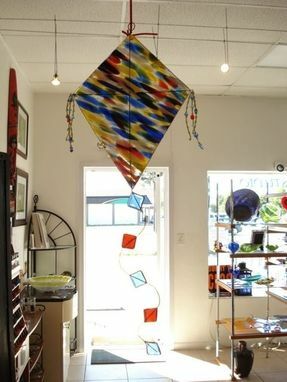 The kite's body is made of a clear glass base fused with white, yellow, green, red, and blue dichroic bits, as well as glass of different colors in the kite's tail and "wings.'' 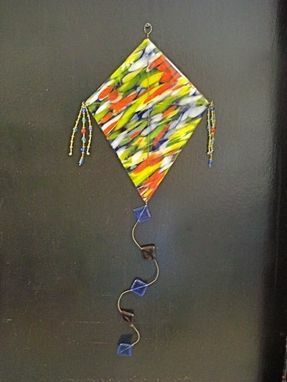 The ornament measures 8 _'' x 10 _'', and has an overall length of 22'' - including the tail.